The undead monster called the Spectre has been destroyed. Princess Didi's fine new city of Gafarden no longer suffers under the threat of the animated corpse. Didi herself lies seriously injured in Zandikar in the Eye of the World, lovingly tended by her cousin, Princess Velia. Ulana Farlan, the governor of Didi's province of Urn Vennar, has been removed from office. Now the rogue and schemer Nath Swantram, Nath the Clis, rules. But the Spectre, dead and animate, is about to terrorize Gafarden again as Tralgan Vorner, the wronged Elten of Culvensax, seeks vengeance on those who betrayed him. Within Vorner the Spectre lives. 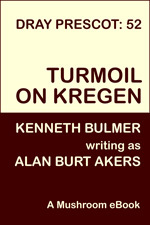 This edition includes a glossary to the Spectre cycle. 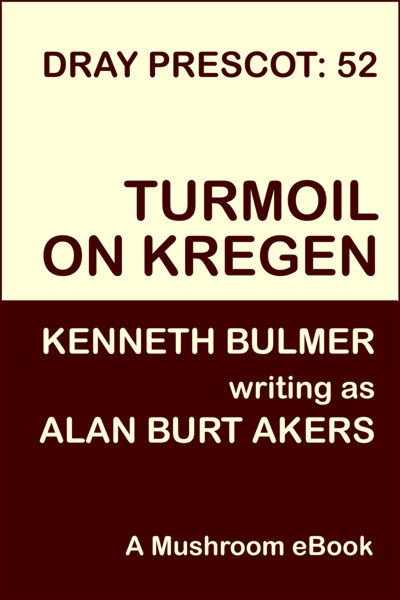 Turmoil on Kregen is the final book in the epic fifty-two book saga of Dray Prescot of Earth and of Kregen by Kenneth Bulmer, writing as Alan Burt Akers.